Learn how to rip the DVD Man of Steel (2013) on computer. 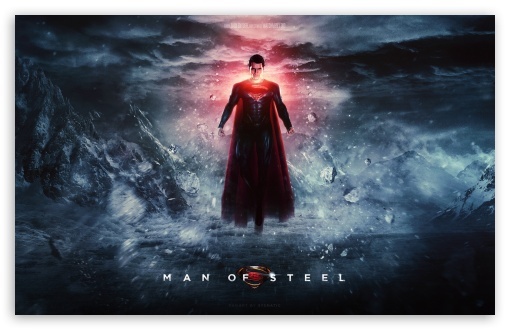 The latest superhero themed film Man of Steel of Box Office success is about to be on DVD soon. Produced by Warner Bros. and Legendary Pictures, this remake of Superman Film Series starring Henry Cavil and Amy Adams is mainly about a young itinerant worker raised by his adoptive parents is forced to confront his secret extraterrestrial heritage when Earth is invaded by members of his race. He was sent to the planet Krypton which faces imminent destruction due to its unstable core, the result of years of depleting Krypton's natural resources. So he is to save the world from annihilation and become the symbol of hope for all mankind. This film is listed in the most popular movies 2013 and you will never regret watching it. This article will then focus on how to rip and copy DVD Man of Steel (2013) for DVD backup and safe playback using a very fast DVD ripper – WinX DVD Ripper Platinum. WinX DVD Ripper Platinum can help convert DVD Man of Steel to MP4, AVI, MOV, WMV, MPEG, FLV, etc., and rip DVD for playing through Apple TV, iPhone, iPad, iPod, Android Device, Windows Media Player, WP8 and more. Besides, if you are searching for a fast DVD backup solution, this Windows-based DVD ripper offers 4 DVD copy modes for you: clone full content of DVD Main of Steel to multi-track MPEG2 file, backup main movie title content, copy DVD to DVD and DVD to ISO image. How to Rip DVD Man of Steel on PC? How to Rip DVD Man of Steel on Mac? WinX DVD Ripper Platinum is an extremely easy to use DVD ripping tool. It supports almost all popular movies as well as homemade DVDs. To better support the latest DVD such as Man of Steel, please download the full version and register it first. Step 1: Launch WinX DVD Ripper Platinum, insert the DVD of Man of Steel, whether it is bought or rented, to your DVD-ROM, and then click DVD Disc to load the movie content. Two more choices are offered to you if you have DVD ISO image file or DVD folder (VIDEO_TS). Step 2: Navigate the output profile area and choose any as you like and need. For example, you can choose iPad Mini (MPEG4/H264) if you want to play and watch Man of Steel on iPad Mini. Step 3: Since the DVD ripper will check and choose the main movie title for you, all you need to do is to confirm or change the destination folder as the output channel. 1. Choose "Safe Mode" to smooth the DVD ripping process. But it will take longer time than normal mode. 2. Hardware accelerator will used by WinX Ripper automatically to rip DVD with faster speed. 3. Select "Use High Quality Engine" or set "Deinterlacing" for better image quality. 4. You can also this software to edit/merge/crop/trim the video of Man of Steel. Step 4: Click "RUN" to start ripping DVD Man of Steel on Windows PC. 1. If you need to rip DVD Man of Steel on Mac, please download WinX DVD Ripper for Mac. 2. The developer also provides you with some small freeware to free rip Man of Steel DVD. Unlike HandBrake, these free WinX DVD (to MP4/AVI/PSP) rippers require no annoying parameter/resolution settings. 3. If you want to burn DVD Man of Steel to another DVD disc, please try WinX DVD Copy Pro. Support scratched DVDs, rip DVDs with 99 titles - the new DRM encryption adopted by Disney and more DVD distributors, bypass DVD CSS, region code, Sony ARccOS, UOPs, APS, RCE, level-3 hardware accelerated. Here is a solution for how to backup DreamWorks DVD movies animations to phones/tablets for anyone who wants to fast rip DreamWorks DVD Rise of the Guardians, Shrek series, Madagascar or The Croods. The tutorial helps download How to Train Your Dragon 2 full movie in MP4 for free. Thus, you can watch offline free movie How to Train Your Dragon 2 on iPhone, iPad etc.